Deep lakes, thick forests and the good old Colorado work-hard, play-harder attitude define mountainous Grand County, home to Winter Park, Grand Lake, Granby, Kremmling and Hot Sulphur Springs. Start your voyage in Winter Park with a chairlift ride to 10,700 feet above sea level. Once the snow melts, Colorado’s longest continually operated ski resort becomes a summer playground, and the Zephyr Express lift takes visitors to mountaintop views of the Continental Divide and Fraser Valley in just six minutes. like track. There’s also a climbing wall, giant maze, mini-golf, bungee trampolines and an events calendar full of music and beer festivals and kid-friendly outdoor movie nights. The town of Winter Park also bustles year-round — don’t miss free summertime concerts at Hideaway Park downtown. Or book a guided rock-climbing excursion with Winter Park Adventure Quest in Fraser, an aerial adventure park with 24 challenge elements. Meanwhile, Snow Mountain Ranch has a grin-inducing summer tubing hill and other family activities. In the afternoon, go north to the laid-back county seat of Grand Lake, where hints of the village’s Western character are revealed in its historic boardwalks and hitching posts alongside the parking spots. 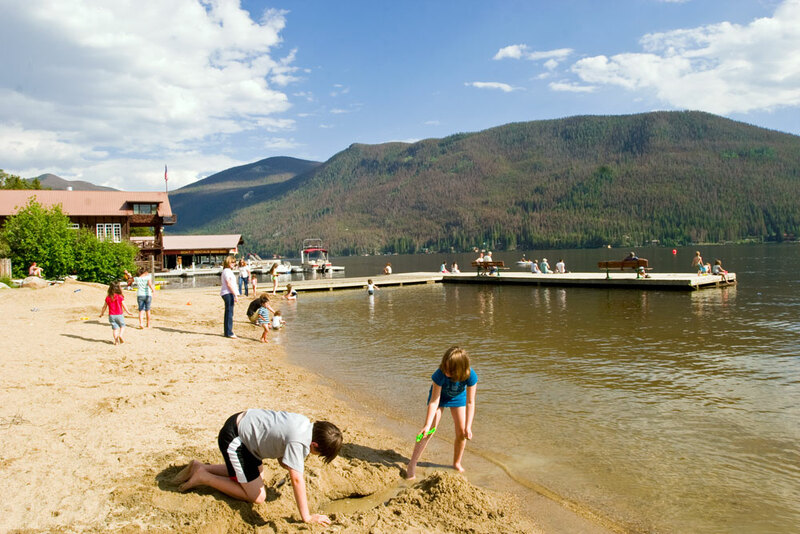 As Colorado’s deepest and largest natural lake, Grand Lake attracts summer fun-seekers looking to water ski, fish, sail or relax on the beach. Rent a boat, look up for eagles and down for trout. This area is the western entrance of Rocky Mountain National Park and one of the state’s most popular for viewing moose and other wildlife. Pedal along a new 2-mile stretch of the East Shore Trail, the first-ever route in the national park open to mountain bikers. Links lovers can tee off amid inspiring scenery (and watch their balls fly farther through our thin air) at four mountain golf courses. The Grand Lake Metropolitan Recreation District also has several miles of dog-friendly friendly hiking trails that weave through lush wetlands, pine forests and aspen groves. Cap your evening with a Broadway musical at Grand Lake’s Rocky Mountain Repertory Theatre and brick-oven pizzas at Stillwater Grill. With cabin rentals and campsites and activities like horseback riding and Colorado River fishing, Winding River Resort is a great place to stay. As the Colorado River carves its way from the Continental Divide on its journey to the Pacific Ocean, it treats Grand County visitors to some of the best rafting and Gold Medal fishing around. Jagged red canyons and green valleys provide stunning backdrops for mellow floats; outfitters can be found throughout the county. The sleepy mountain town of Granby offers Western hospitality, an idyllic main street of restaurants and antique shops, and easy access to outdoor pursuits, including boating and fishing on Lake Granby. Expect nothing but the best at Grand County’s many dude ranches, including Colorado’s oldest continuously operating ranch: Bar Lazy J in Parshall. Proprietors roll out the country hospitality to those seeking an authentic Old West experience, offering activities like horseback riding, hiking and square dancing, and not-so-cowboy tennis, yoga and volleyball. Some even have luxurious spas, miles of trails and fishing. Take a drive through the Rocky Mountain National Park at sunrise — a prime time for wildlife sightings. You can see moose year-round (from a safe distance, of course) in the national park, Winter Park and Grand Lake. Winter Park Resort’s deep snow, diverse terrain and the Winter Park Express Amtrak route from Denver right to the slopes make it a favorite skiing, snowboarding and fat-biking destination with beginners and experts alike. Nearby, the smaller Ski Granby Ranch is known as a long-time family favorite. All the Grand County towns pack in plenty of fun beyond the slopes, with groomed trails for snowshoers and cross-country skiers, six area snow-tubing hills, sleigh and dogsled rides, as well as snowmobiling routes with epic Continental Divide views. In Grand Lake you can even ride your snowmobile through town and right up to your favorite Grand Avenue lunch spot. Retreat to Hot Sulphur Springs to do what visitors have done since the time of the Ute Indians: Soak in the area’s mineral-rich pools. Volcanic rock 35,000 feet below the earth’s surface heats the water that fills the pools at the town’s namesake resort and spa. Fraser is another ideally situated homebase for exploring the area’s outdoors (and is perhaps best known for its convenient lift-served snowtubing hill in winter). A sportsman’s paradise, Kremmling has some of the state’s finest fishing waters and elk-hunting grounds, as well as miles of ATV and OHV trails. Head to Rusty Spurr Ranch for trail rides and cattle drives; hike to Radium Hot Springs on the Colorado River; and stay at the Hotel Eastin, which once housed Kremmling Bottling Works and has welcomed guests since 1906.